A delegation led by the Vice President of Equatorial Guinea - Teodorin Nguema Obiang, son of the longtime president - has had $16 million worth of cash and luxury watches confiscated at an airport in Sao Paulo, Brazil, BBC is reporting. In October 2017, Obiang was sentenced to a three year suspended sentence in France on charges of money laundering. 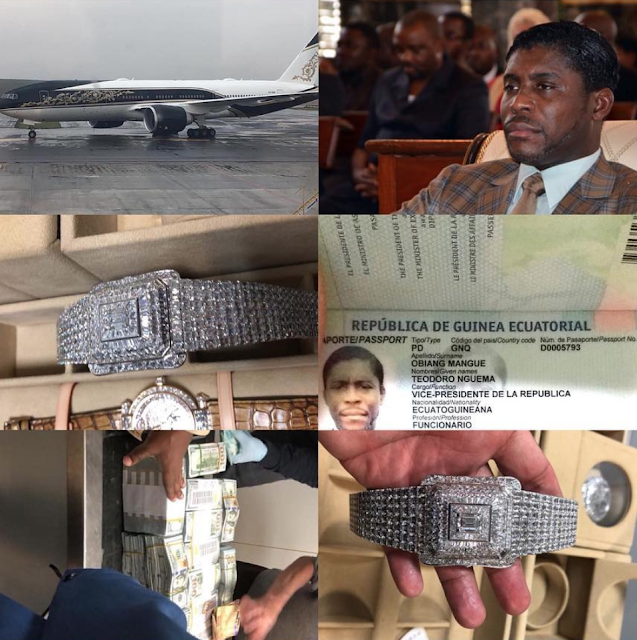 Obiang, vice-president of Equatorial Guinea and son of its longtime president, Teodoro Obiang Nguema, arrived on Friday on a private plane at Viracopos airport near São Paulo as part of an 11-person delegation. Estado de São Paulo reported on its website that federal police found $1.5m in cash in one bag and watches worth an estimated $15m in another. TV network Globo said Obiang was the only member of the delegation who had diplomatic immunity as the group was not on an official mission. The bags of other delegation members were inspected as Obiang waited outside in a car, it said. Brazilian law prohibits people from entering the country with more than 10,000 reais (£1,800), in cash.